They look so impressive laid out in the top photo. They are artworks individually and as a whole. I collect lace handkerchiefs, photobooth photos and traditional kokeshi dolls. The dolls are the only items that are on display, even then, not all of them. 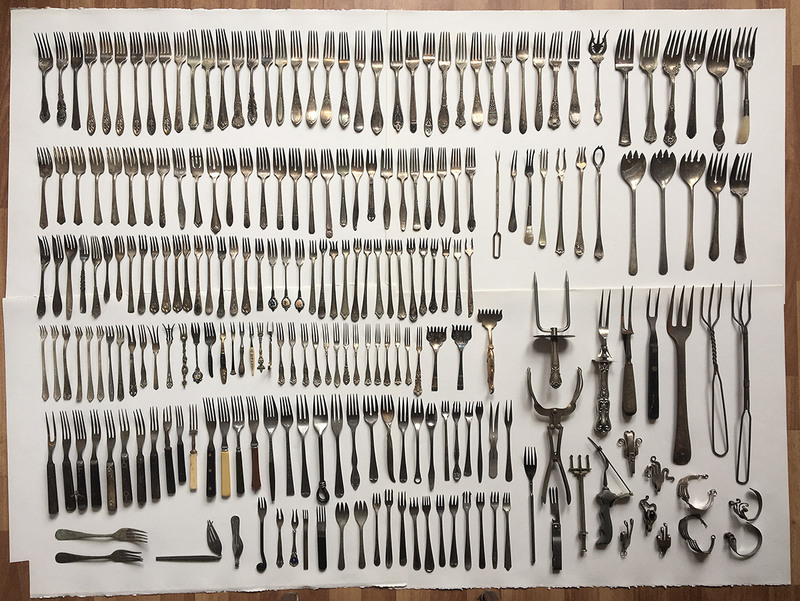 Do you display any of the forks? I hate having my treasures tucked away and out of sight. What is your feeling about your collection? Thanks so much! I agree they are artworks; They remind me of fancy typography or symbols, which was why I began collecting them. I used to have a number of them hanging from tiny nails on a wall, but in recent years, only a few are on display, which I find disheartening too. I’d love to have at least some of them on a wall again.